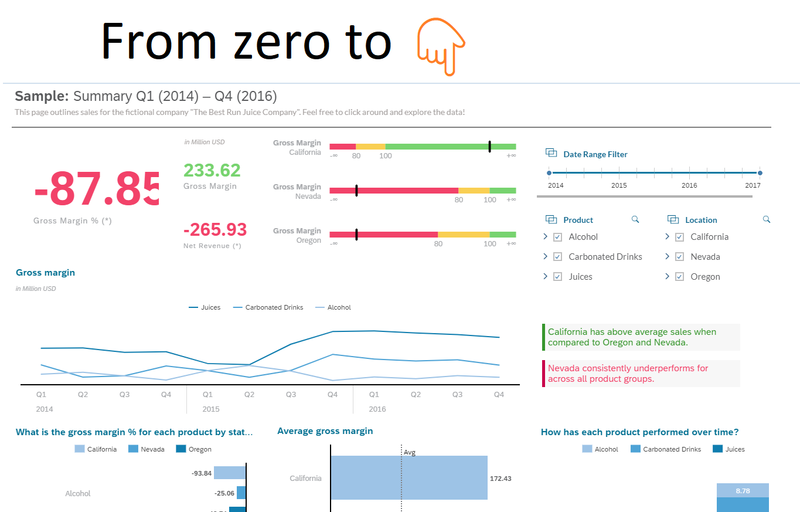 This blog post is the first of a series showing how to go from zero to building analytics using SAP HANA and SAP Analytics Cloud. You can get your own on-premise instance of SAP HANA for free even for productive use. In order to use the latest tools, you will need to download or deploy the full image. …this image needs at least 16GB of RAM though I would recommend 24GB for it to run smoothly and avoid network issues if using SAP Analytics Cloud. If you are planning on using Analysis for Office locally, here is how to check the RAM memory in your Windows or Mac machine if you are unsure. You could run it locally and make it swap if your operating system allows it, but you have better chances of running it smoothly on any of the cloud providers. Although they ask for your credit card for verification purposes, some cloud providers give you initial credits so the entire experience will be for free. Read the fine print, it probably says it will not charge you after you run out of credits. Running in the cloud will also make it easier for you to access the instance from outside your network, like from SAP Analytics Cloud. Running locally on your computer will require further configurations (including network) that I will not be covering here. I personally use a mix of cloud with a manual installation based on Ubuntu most of the time. If you are planning on connecting from SAP Analytics Cloud, you will need to be able to access your instance from outside. By default, the host and XSA domain name in HANA Express is called hxehost. You are instructed to modify the hosts file in your computer to map hxehost to the IP of your instance. However, you cannot do this mapping in SAP Cloud Platform and any request coming from outside your computer will not find the host hxehost. SAP HANA has been multi-tenant for some versions. The tenant database is the one with the power to perform real SQL, so you will map the default Cloud Foundry space (development) to the first default tenant, called HXE. Make sure the mapping has been successful. If it’s not and you continue to use the space, you will find out quite late in the process thanks to a scriptserver error. If you are NOT using the command line from the operating system in your virtual machine, you will need to download the Command Line Interface for XSA. And if you are celebrating, merry Xmas! Thanks Lucia for the blog, looking forward to the next in series. Thanks Lucia, can’t wait to see “How to configure the HANA Analytics Adapter” ! is that possible to login Analysis for Office using XSA application user ? but no one answer so far, could you shed some light on it ? 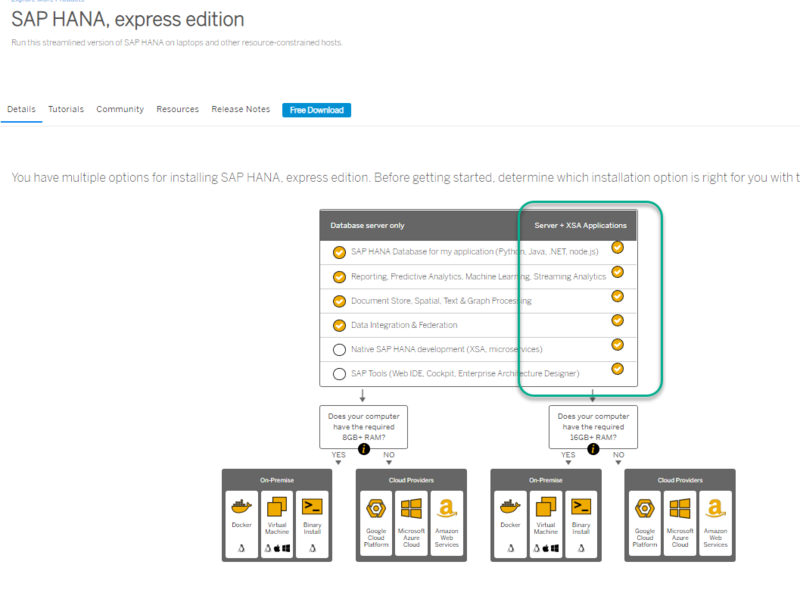 Most of the steps you mentioned above apply only to the INA connector for XSC (https://blogs.sap.com/2017/11/02/configure-information-access-in-hana-express-to-connect-from-lumira-or-analysis-for-office/ ). For a “bad gateway” using the steps in this blog post series (using XSA), I would check the logs for the xsahaa-java and xsahaa-entry apps. Thanks Lucia. One og the services was not running, and that was the cause of the bad gateway error. Greate blog. Not easy to find information about this topic.